It is not possible to exactly tell when gambling started, but there is enough evidence to show that the ancient world cultures like Mesopotamia, Egypt, Persia, India, and China practiced it. During this time, the Chinese tiles or Egyptian ivory dices that have been found to date back thousands of years may have been used in religious rituals to predict the future or even explain the incomprehensible. Whatever the reason, it is clear that the modern day games are actually the incarnations of games that were developed long ago and perfected over time in almost every society. The only difference is that tech has diversified the ways in which people can gamble and also changed the entire gambling experience. Although there are different types of gambling or gaming today, the most popular one is casino games. The birth of large and more decorated casinos in the USA happened in the early 1900 when gaming in roadhouses and taverns was no longer preferred. While this may have been a big step in the gambling industry, the subsequent opposition to gambling led to outlawing of certain games and later illegalization of gambling by 1910. However, this did not bring it to an end because the majority of the gambling operations went underground. Gambling later found its way back after the Great Depression, and by the early 1930s, some types of gambling like Bingo and horse racing were slowly legalized, but the landmark came when the state of Nevada legalized most forms of gambling. 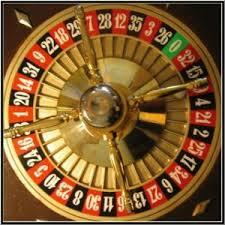 This led to many illegal gamblers especially in California to move their operations to Nevada. The now famous Las Vegas Strip was to be born in 1941 when the first legal land-based casino known as El Rancho Vegas was built by Tommy Hull. Between early and mid 1990s, the internet tech was setting its base and the online gaming came into existence, and today gambling enthusiasts worldwide can play in any of the thousands of online casinos that exist today. There may still be legal issues concerning online gambling today, but as history has shown, things can only get better as governments continue to adopt liberal attitudes towards adult gambling in general. Technological advancements in many sectors are quickly replacing traditional ways of operations. This is why you don’t see people sending letters through the post office or calling using the landline telephone anymore. However, the introduction of online casinos has not managed to stop players playing in land-based casinos. The Las Vegas Strip has been witnessing a slow growth for a few years, now but does this mean that people are shifting to playing online casino games? Well, this can be true to some extent because many states are legalizing casino games and players are moving out to play elsewhere. This does not stop the fact that there is a tug of war between land and online-based casinos with each trying to win players to its side. With online-based casinos come the benefits of convenience, high payout rates, and greater game variety. A shift worker can come home from his job insert injection molding job and play online. That is not all as there also huge bonuses and promo codes for online casinos together with privacy and greater control of your gaming. On the other hand, land based casinos boast of the ability to enjoy the game in real setting, luxurious bonuses and the atmosphere surrounding it. Gambling has come a long way, and it is clear that the present and future of gambling is and will be shaped by tech advancements that come along. Games are now highly diversified and casino games, being the most popular type of gambling, is slowly turning into a new direction. You can be sure to bet on that. Taby G. is a super-connector with OutreachMama who helps businesses find their audience online through outreach, partnerships, and networking. With over 6 years of writing experience, Taby brings a vast amount of knowledge, style and skill to every project. Her expertise lies in article/blog writing, eBooks, and SEO/informational writing. Copywriting and fiction are the icing of her work with excellent research skills and flawless grammar.